The 11th instalment in the award-winning series Canada’s Ultimate Story by the publishers of Legion Magazine and written by Carla-Jean Stokes. 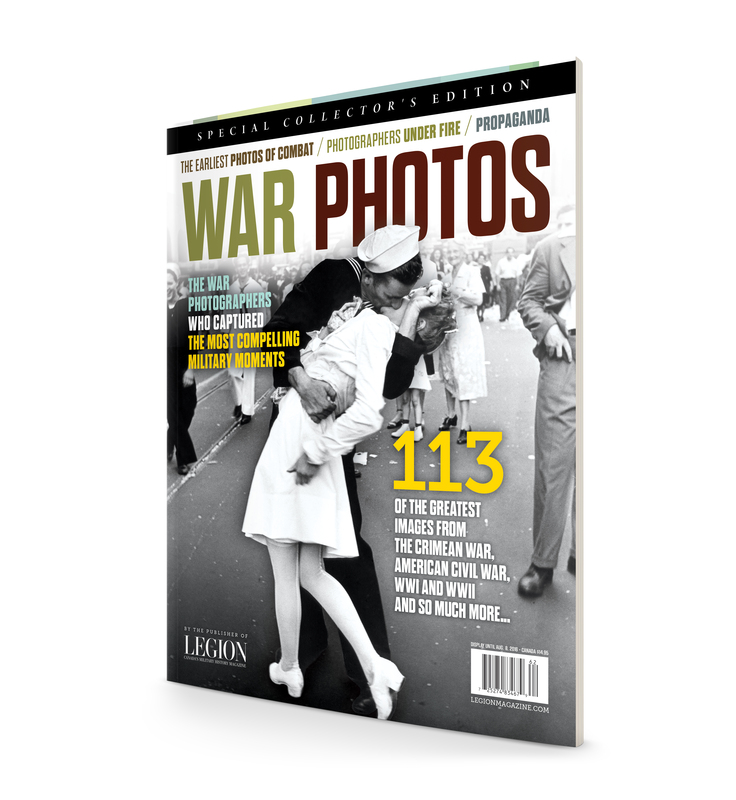 War photos—showcases the stunning images and explores the original wartime photographers who accompanied the army during the First World War and how the style and equipment changed from the Second World War, the Korean War and into the age of digital images. Rare photos from the men and women who went into battle with only a camera.